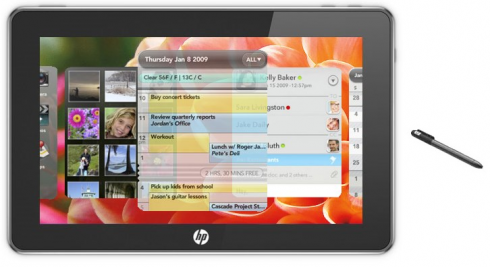 Despite lacking numerous apps, an army of developers and Apple’s cult like following, HP’s PalmPad will probably be able to hold its own against the iPad tsunami that is sweeping the planet. While Steve Jobs greatest creation allows you to interact with the iPad by using all ten digits, PalmPad may one up the iPad–literally–by introducing a simple tool that will appeal to corporate execs, artists and journalists around the world. Just the very fact that the PalmPad will come with an official stylus Â will set PalmPad apart from “that other” touchscreen tablet, as well as help the company leverage their products against Steve Jobs alternative to net books. Coupled with a front facing camera and the PalmPad could easily replace the popular iPad, despite the lack of apps upon the App Catalog (aka Palm’s app store).